A new category of vehicles that has been able to register strong sales during the ongoing economic slump is the entry level sedan category, which comprises models like Maruti Swift DZire, Honda Amaze, Tata Indigo eCS and Toyota Etios. Since the used car market is India is also rapidly developing in the India, it also may be a good option to consider used premium sedans, which would present a high-class brand image, while being larger and more powerful at the same time. Some of the pros and cons of both categories of vehicles have been covered in this article. In the premium sedan segment, vehicles such as Toyota Camry, Mercedes-Benz E-Class, Honda Accord, Hyundai Sonata and Skoda Laura can be considered. One of the prices for a used 2007 Toyota Camry automatic 2007 in Delhi has been observed as Rs. 7,50,000. At a slightly higher on-road price, the top variant of Honda Amaze or Swift DZire can be purchased as well. 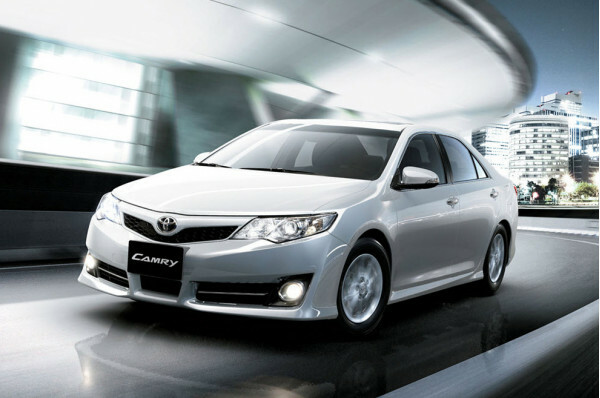 In comparison to the Amaze, the Camry is much larger and has greater safety features. Driver airbag passenger airbag, child safety locks, traction control, power seats and power door locks are some of the features that will not be available in the entry level Amaze. Leather upholstery used in the Camry will be more luxurious than the quality of the same in the Amaze. Fit and finish will also be of a higher class in the former. Comparison between a used premium sedan and a new entry level sedan in India. However, there are also some pros in favour of the Amaze. For one, its insurance will be up to date, which may be questionable in case of the Camry. Mileage is one huge scoring area, whereby petrol and diesel versions of the Honda vehicle are expected to deliver 18 kmpl and 25.8 kmpl, respectively. In comparison, the mileage of a used Camry would be much lower at around 10 kmpl. Cost of spare parts for the Camry will be very high, which could throw the budget of the family out of gear. In addition, with the premium sedan having travelled a fair amount of distance since 2007, it could encounter recurring problems that may not be immediately visible. At the end, it is the decision of the buyer to decide which type of vehicle to go for. Some persons believe that ownership of a new vehicle is always better, since it is free of worries. Others believe that the premium sedan would serve as an image booster for them. Today, the number of organised used car retailers have increased, which implies that a certain level of quality can be assured of second hand cars as well. It must be noted that companies like Mahindra First Choice ensure that their used cars undergo several quality checks before going on sale.